These girls, along with their mother Cynthia, camped next to us at Bishop Mule Days Celebration. 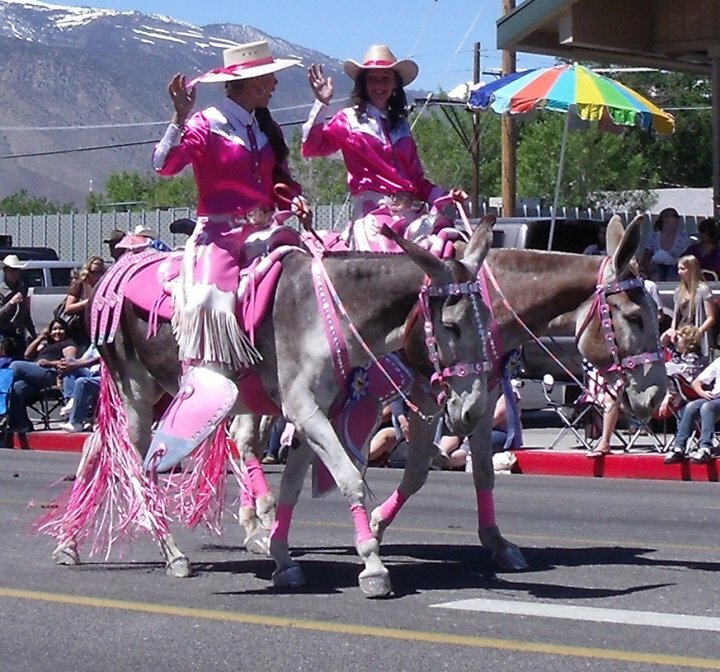 Their mother made these outfits except for the saddles and she painted them. Awesome family!! Okay, I am not a pink fan...but this is great!